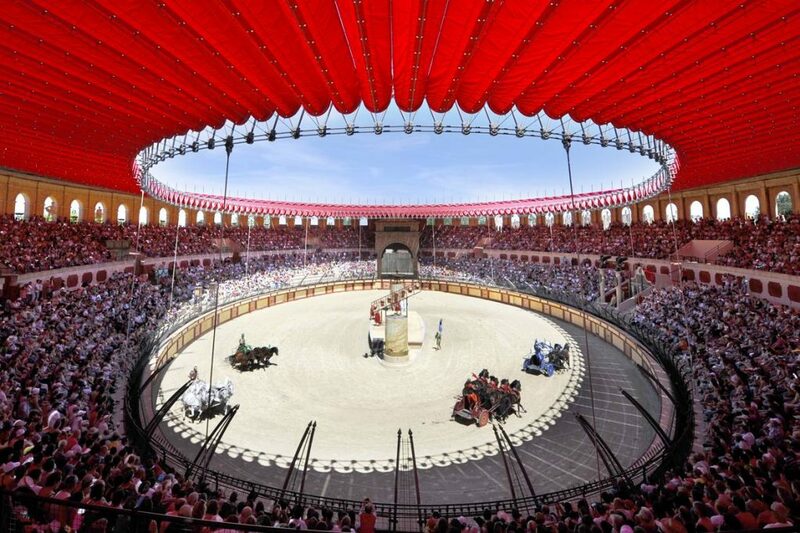 The theme park Le Puy du Fou, one hour and a half from the campsite, invites you to take a step back in time. 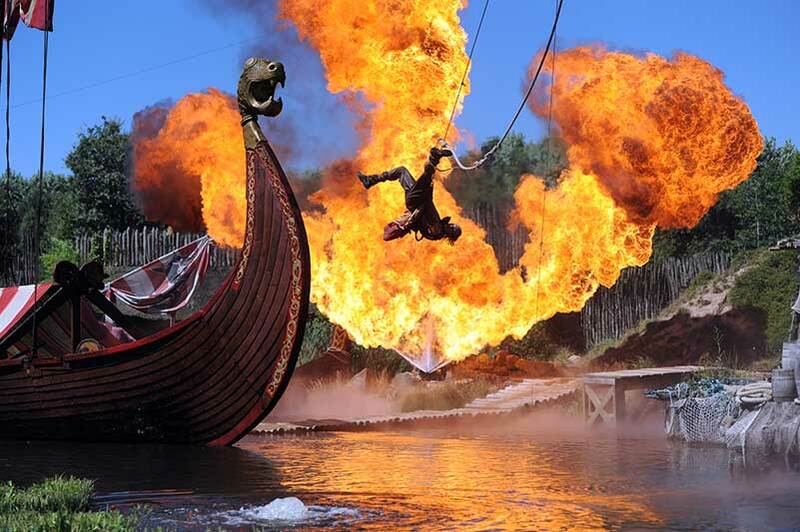 From Roman gladiators to the Vikings, as well as knights in shining armour, experience some enchanting shows. 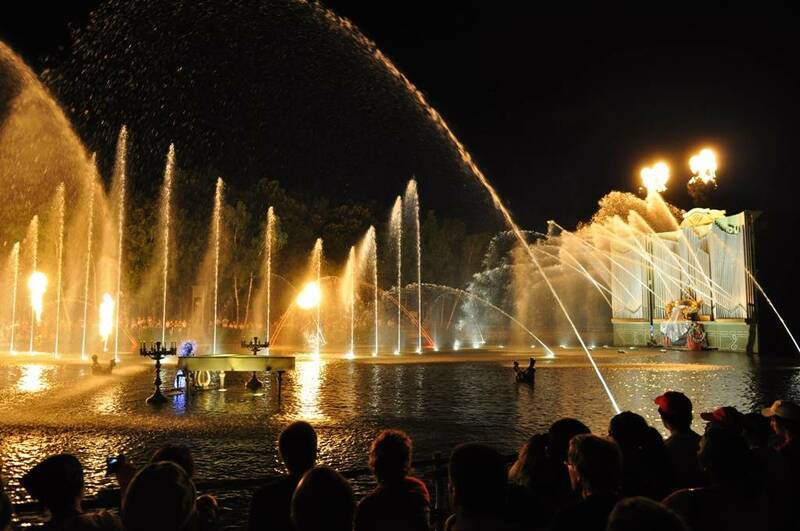 Take a step back in time in this fabulous theme park: discover the work of mediaeval artisans and their shoppes, visit a village from the 1900s, see the training of birds of prey and open your eyes wide for the great nighttime show. 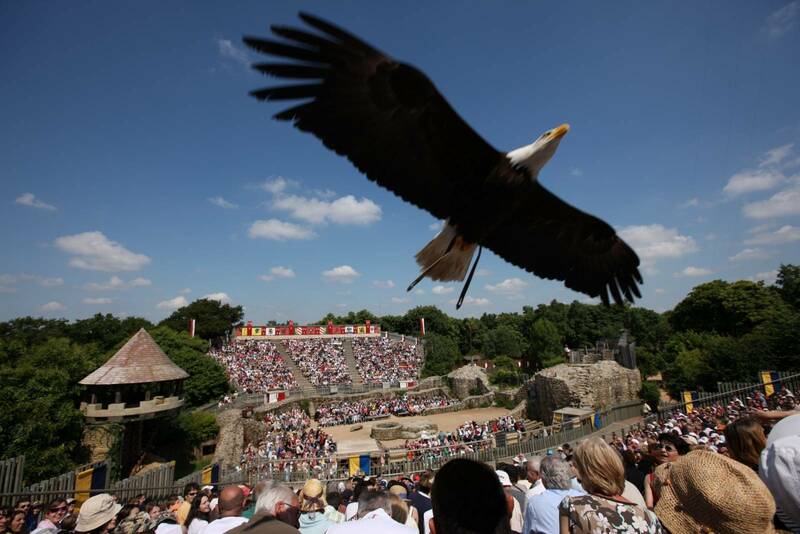 Visit the leisure park of Le Puy du Fou and its nature park, animal and flower park, in an authentic environment that is a break from routine. 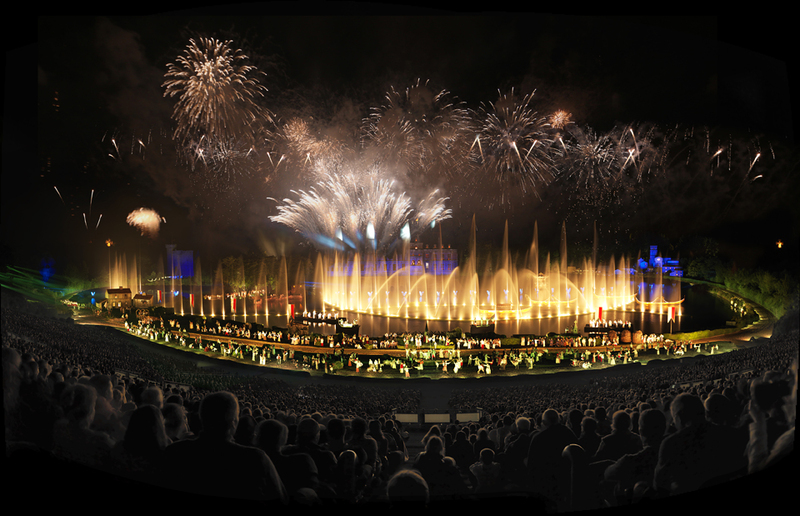 You will be seduced by the attractions and shows with their impressive special effects and spectacular reconstitutions. In the evening, take part in La Cinéscénie, an unforgettable show!